Highlighting the industry’s obsession with massive digital displays. Car interiors are getting more technologically advanced, with massive digital displays often dominating dashboards. Kia, on the other hand, has taken this to another level. Following last week’s preview, the Korean automaker has given us a first look inside its new Geneva-bound electric car concept, and to say the interior has an abundance of tech is an understatement. That’s because the concept features no less than 21 individual ultra-high-resolution screens on the dashboard. Yes, you read that right. Kia clearly has a sense of humor, because the company is mocking the industry’s "current obsession with ever-increasing dashboard screens.” Apart from the copious amounts of screens, the interior is extremely minimalist and features a futuristic-looking steering wheel. According to Kia, the unnamed concept will be the automaker’s first pure electric four-door passenger car. 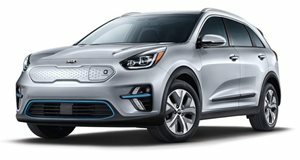 The automaker says it is "intentionally designed to not sit within the industry’s predefined vehicle categories” and "coherently draws together elements of a muscular sports utility vehicle, a sleek and athletic family saloon and a versatile and spacious crossover.” We’ll find out more about Kia’s quirky electric concept car at Geneva next week, including the powertrain details.